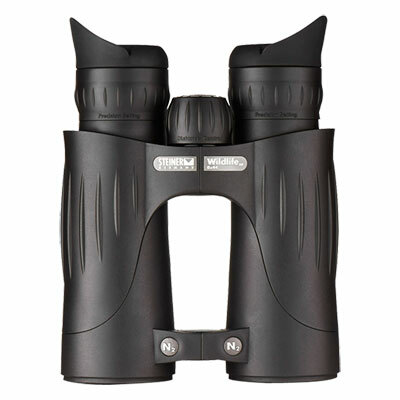 Get closer to nature than ever before with the Steiner Wildlife XP 8x44 Binocular. These binoculars offer comfortable handling, ultra-high definition optical performance, and a large field of vision. Other features include 3 dimensional brilliance, Steiner precision-setting, fast-close-focus, distance-control-system, nitrogen-pressure-system, nano-protection, ergonomic eyecups, clicLoc strap attachment, ComfortGrip, water pressure proof up to 5 meters, NBR long life rubber armoring, and temperature resistance from -40°C to +80°C. Field of View: 436 ft.